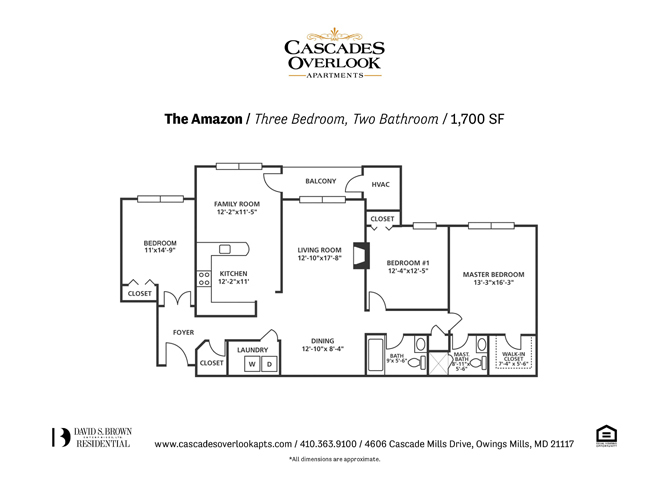 Offering a multitude of unique floor plans, on-site community amenities, and a beautiful neighborhood, an apartment at Cascades Overlook is perfectly fit to be called home. 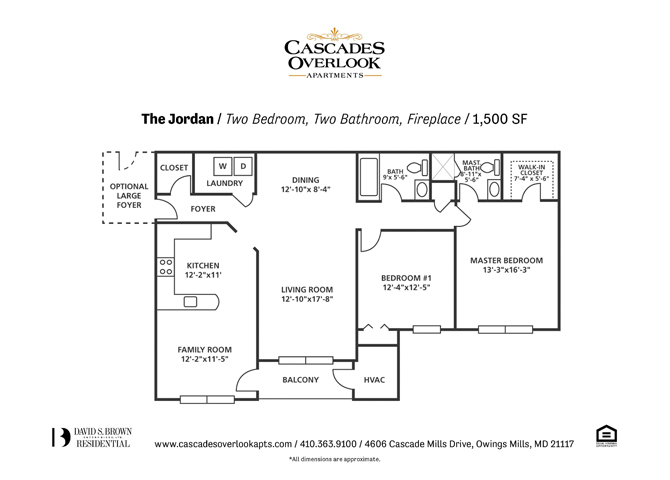 Cascades Overlook offers garden style 1-bedroom, 2-bedroom, and 3-bedroom apartments with luxury suite options available. 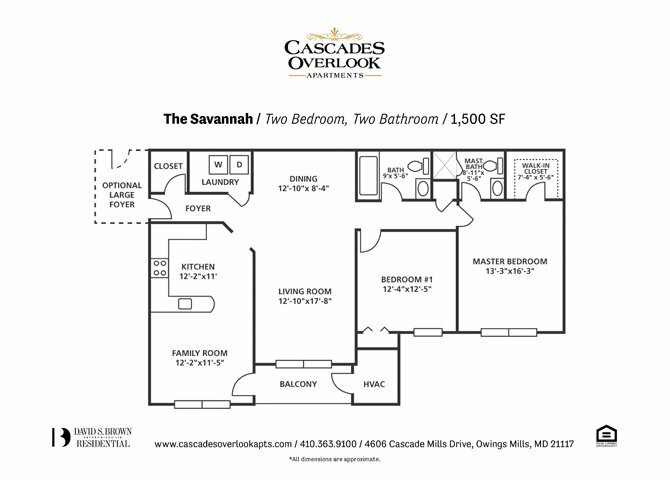 Cascades Overlook showcases a brand new grand clubhouse, including a new fitness center, media room, and swimming pool. 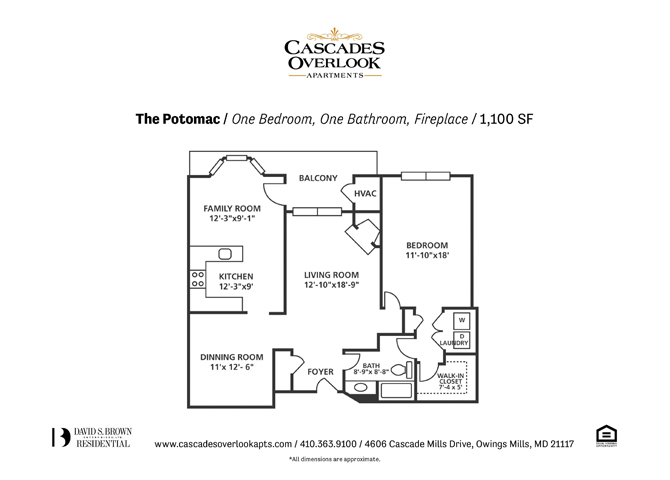 Surrounded by character and charm in Owings Mills New Town, Cascades Overlook luxury apartments are the perfect place to call home. Enjoy a complementary shuttle from your apartment to all the area’s best locations. 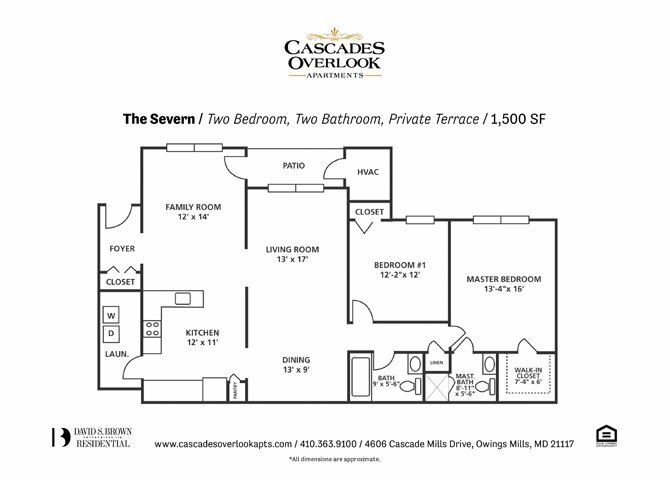 Located in the heart of Owings Mills, Maryland, Cascades Overlook is surrounded by popular dining, shopping, and recreation destinations right in the neighborhood. Local employers and educational institutions, such as the Baltimore County Public Library, T. Rowe Price, and Stevenson University are only a few minutes away. 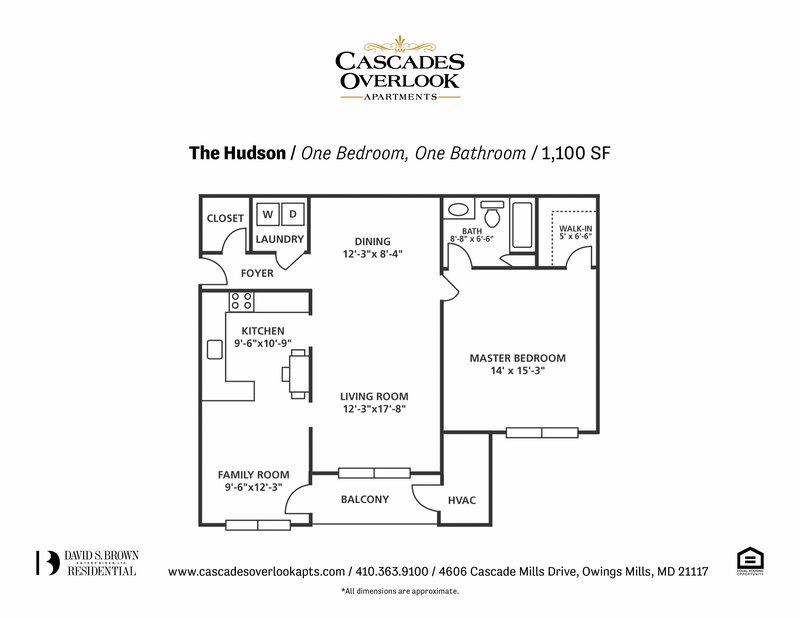 Plus, Cascades Overlook’s ideal location offers easy access to I-795 and the Owings Mills Metro Station to get you to downtown Baltimore in just 15 minutes. Is your company a David S. Brown preferred employer? If so, you may qualify for added move-in benefits. Major employers include Baltimore County, Stevenson University, T. Rowe Price and many more. Get familiar with David S. Brown’s Preferred Employer Program by clicking the link below. I thoroughly enjoy living in Cascades Overlook! I am extremely appreciative of the manner in which the common areas are maintained and the preventive maintenance that is routinely performed. Thank you for the great customer service and maintenance responses. We are definitely referring these apartments to all our friends that are in the market for moving. I’ve lived here for a year, I love how the buildings are made of concrete so you can’t hear the neighbors in any way. I haven’t had any problems with the leasing office or any neighbors for that effect.